Our winter issue will be out soon. Print subscriptions are $10 off if you follow this link. In response, AFA created a strike tactic called Create Havoc Around Our System (CHAOS), whose guiding principle is that “the strike is going to take any form and we are not going to give you any warning,” Nelson explains. CHAOS is deeply destabilizing to corporate management. “It could be a single flight, where there is no replacement. It could be shutting down an entire airport, or it could be everyone walking off the job for an hour,” says Nelson. “You don’t know where or when. And the effective result is we control the schedule.” Alaskan Airlines’ executives were once driven to such confused desperation by CHAOS they inadvertently gave many employees a 60 percent raise overnight. Congressional negotiators told Politico on Friday that they’re working on a deal that will prevent a second government shutdown on February 15. If they fail — or if President Trump again refuses to accept whatever compromise they reach — hundreds of thousands of federal workers and subcontractors will find themselves without income once more. The last shutdown ended because workers revolted: After missing two paychecks, ten air traffic controllers called in sick, an absence significant enough to severely delay air traffic in New York City and Washington. Now, as another shutdown looms, workers are preparing for the worst. 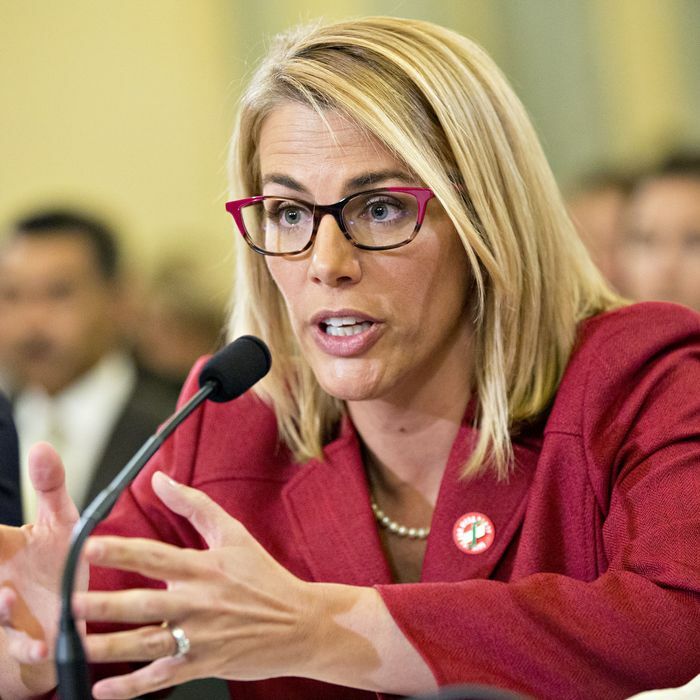 Sara Nelson, the president of the Association of Flight Attendants-CWA, told New York on Friday afternoon her union is working with labor partners to plan a series of demonstrations in major airports around the country on February 16. Nelson, who called for a general strike in response to the last shutdown, offered manifold reasons for this new call to direct action. “Our union has worked really hard to address several safety issues in the workplace that have been longtime priorities, and we actually achieved 18 of those priorities in the FAA reauthorization bill that was signed into law this past October. 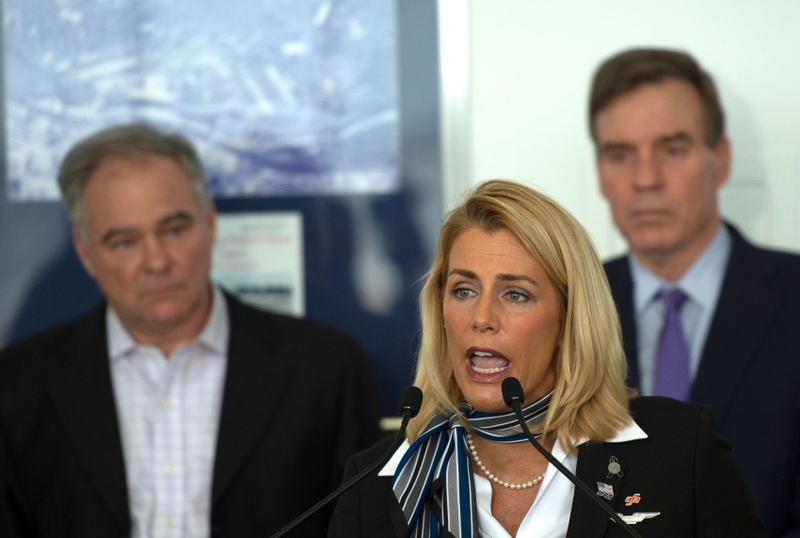 But those items have not been implemented, because there’s been a shutdown,” she said. “So we can’t even get to our parochial issues because we’ve got this incredible threat to our fundamental safety and security and the entire industry’s ability to operate.” Nelson previously told New York on January 25 her union intended to “mobilize immediately” if the shutdown continued; hours later, legislators reached a compromise that reopened government for three more weeks. In anticipation of another shutdown, Nelson says the union will be out leafleting in airports in 80 major cities next week ahead of Saturday’s demonstrations. “We are also working very hard to get information out to all of our members about what’s at stake. We need people to fully understand what the issues are so that we can be prepared to respond potentially with withholding our service, if that’s what it takes to stop a continuation of the shutdown,” she added. Even if negotiators reach a deal that keeps the government open, Nelson says there still will be demonstrations on February 16, though those protests may “differ in size and scope” if a second shutdown does not occur. Subcontractors still need backpay, and the union wants the provisions of the FAA reauthorization bill implemented. “We need a government that works. And just avoiding a shutdown that is a risk, a tremendous burden, and a betrayal of millions of Americans is a really low bar,” she said. Previous Post The Truth about Venzuela: Isn’t it Always about the Oil? Ironic, isn’t it? Trump defeated by a group of females who aren’t having his narcissism vanity project. Socialism indeed! Power to the people!